Fazilika (Punjab), Feb.20 (ANI): Phulkari, the traditional art of floral designs on fabric, has been a synonym of Punjabi culture and a major charm among Punjabi women for centuries. However, a number of resident women in Fazilika town here have earned recognition for themselves through a special embroidery work. Several resident women, some of whom initially received training from migrant Muslim craftsmen families of Uttar Pradesh, have today made the specialized embroidery work their occupation. These craftswomen are today a major draw for several clients, including exporters and non-resident Indians. Their hold on the special embroidery techniques and creativity have become a major source of earning for these women, bringing a big smile along with highly absorbing orders for this art form. Though this embroidery work that is done on suits and other clothes material, is quite tedious work of craftsmanship, it has its own elegance and charm that fascinates one and all visiting Fazilika town from far off places. This work enables these craftswomen to sell a wide range and variety of high quality embroidered suits and saris at reasonable rates. Besides, this art form has enabled many women to become financially independent and support families with additional income. Meenu Nagpal, 40, who runs Mehrab Boutique, has been in the business for the last one decade. She took to this art form as a hobby but it soon turned her profession. “The craze of embroidery among women is increasing because the designs that are available in markets are almost the same. But we make different designs. We use various embroidery techniques like Dabka work, needle thread work, Sipi work, Pearl work, Mirror work and Naqshi work and all this is not easily available in the market,” said Meenu Nagpal of Mehrab Boutique in Fazilika. Hand-embroidered and hand-made suits are popular among Punjabi women. 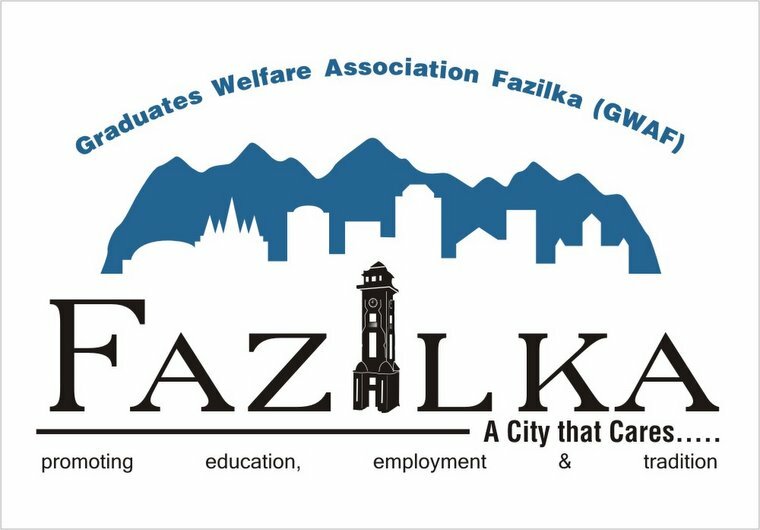 Fazilika attracts customers from across Punjab and Haryana and Rajasthan as well. The business of the embroidery has grown over 20 per cent per year on account of the growing demand for hand embroidery. Most of the exporters, arriving here to book these artists with orders, often prefer keeping the identities of their chosen craftsmen, a secret for market competitiveness. These craftsmen supply to various fashion houses. The intensity of labour, which is required for such delicate embroidery, strains the eye but still these craftsmen do their best and try to outdo one another. They charge as per the pattern and material used on the fabric. There are different types of embroidery like thread work–Tille ki Khadai, Moti-sippy work. “They use superior fabric and the designs are completely different from others. You don’t get such designs anywhere else. They are very good both–the handwork and machine embroidery,” said Meenu, one customer. Punjabi women, especially those visiting India from abroad, have a craving to get their suits embroidered at Fazilka. Not just that, many of the craftswomen here have permanent non-resident Indian customers and they keep record of their clients’ tastes and preferences. “She makes the clothes according to customer’s choice. She creates her own designs and chooses the colour contrast by herself. If you buy readymade clothes, you have to compromise because you know there are limited designs available but here she knows how to satisfy her clients, and accordingly she makes these things,” Rinky, another customer. CHANDIGARH: The Punjab Government has decided to exempt the 3% additional stamp duty being charged as Social Security Cess on the registration of land in the villages within the radius of 5 kilometers from 'A' class Municipal Committee towns in the border areas of the state. Disclosing this here Friday, a spokesman of Punjab Government said that a decision to this effect was taken by Punjab Chief Minister Parkash Singh Badal in response to the memorandum submitted to him by the residents of boarder area during a public rally at Fazilka. This decision would benefit a major section of people belong to the scheduled castes and backward classes, who had made this land cultivable with their hard work. Chandigarh: The Punjab government has chalked out an ambitious plan to generate power from agriculture waste by setting up co-generation power plants at all the state-owned cooperative sugar mills. The concept, the brain child of Punjab’s cooperation minister Capt Kanwaljit Singh, aims to involve the private sector on a build, own, operate and transfer (BOOT) basis at its nine sugar mills. The private sector companies, through cooperative societies in the state, will purchase agriculture waste including paddy straw to generate power through the biomass project. All these plants will be functional by the end of 2010. Singh told FE, “The farmers of Punjab would get a benefit of Rs 600 crore annually as, according to a recent study of Punjab Agriculture University, farmers burn paddy straw worth this amount every year.” The Punjab Sugarfed has signed a MoU with private parties to set up co-generation plants and for the modernisation and upgrade of all the sugar mills on a BOOT basis. Capt Kanwaljit Singh pointed out sugarcane cultivation in Punjab is now being done on 39,000 hectare compared to 60,000 hectare last year. On its part, the produce had come down from 594 lakh quintals last year to 206 lakh quintals this year. He said with the new concept, the farmers would be able to supplement their incomes. The minister said about Rs 1,000 crore would be spent on setting up these plants and each plant would generate between 20 mw and 25 mw of electricity. The MoU has been signed for sugar mills of Ajnala, Batala, Bhogpur, Budhewal, Fazilka, Gurdaspur, Morinda, Nakodar and Nawanshahr with four companies including Spray Engg Devices, Saraya Industries, Purab Infrastructure Projects and A2Z Infrastructure. Spray Engineering will set up a cogeneration plant in Bhogpur to generate 18 mw and the sugar making capacity will be enhanced from 1,016 tonne crushing per day to 5,500 tonne crushing per day at a cost of Rs 80 crore. A2Z Infrastructure and Purab Infrastructure will establish three plants to generate 20 mw each at Nakodar, Budhewal and Fazilka and a 25-mw power plant at Morinda at a cost of Rs 450 crore. The Saraya Group will set up plants of 12 mw each at Ajnala, Gurdaspur, Nawanshehar and Batala with an investment of over Rs 300 crore. He said all these plants would be commissioned by September 2010.